When I was growing up, “year 2000” was shorthand for a beautiful yet distant future filled with flying cars and robot maids. Yet, we’re now almost a fifth of the way to the twenty-second century and the year 2000 is a distant blip in the rear view mirror. It doesn’t seem futuristic at all but kind of sweetly nostalgic. Back then, we still had no idea what to do with the internet. 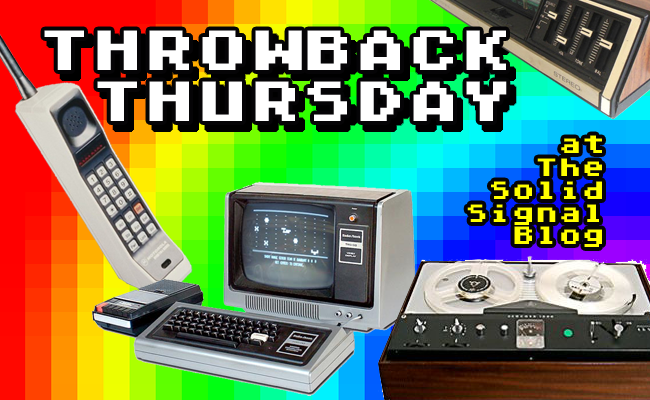 Remember this was three years before Google, five years before YouTube, seven years before Netflix streaming. Amazon was there, but they sold books. DIRECTV was there, but they sold nothing but satellite service. 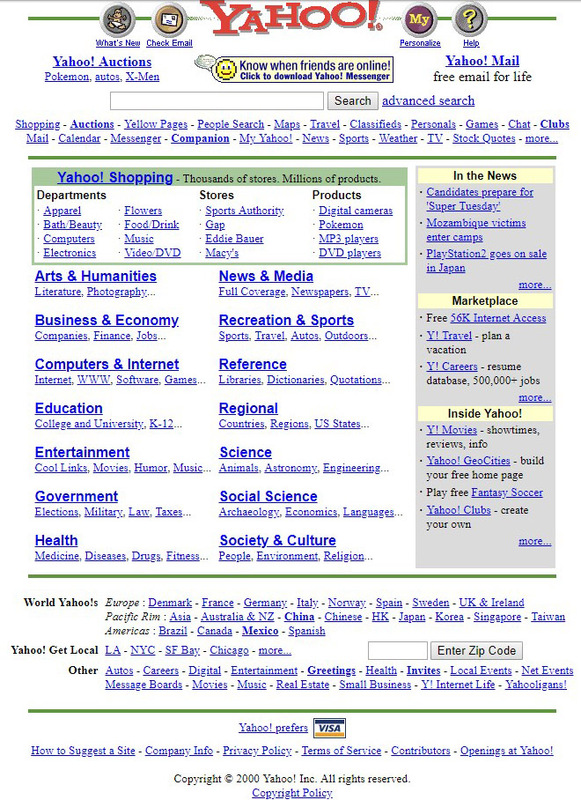 The web in those days was too slow to show much more than text and a few nice pictures. Anything more would have taken a level of patience that few people possessed. 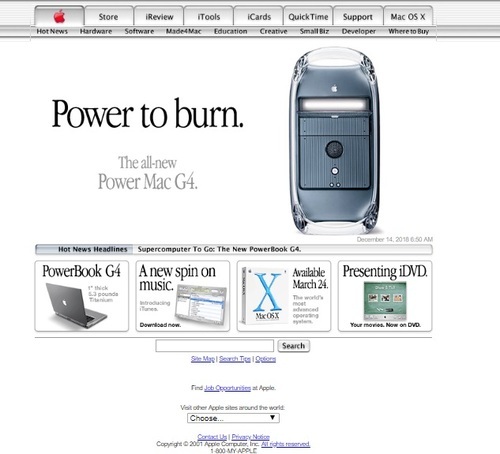 Which is why websites looked like this. That’s right kids, before we had Google, we had Yahoo. It wasn’t very good but it was better than nothing and we liked it! And it was a whole lot of text, like you see there. The funny thing is that some of those sites actually don’t look so bad. 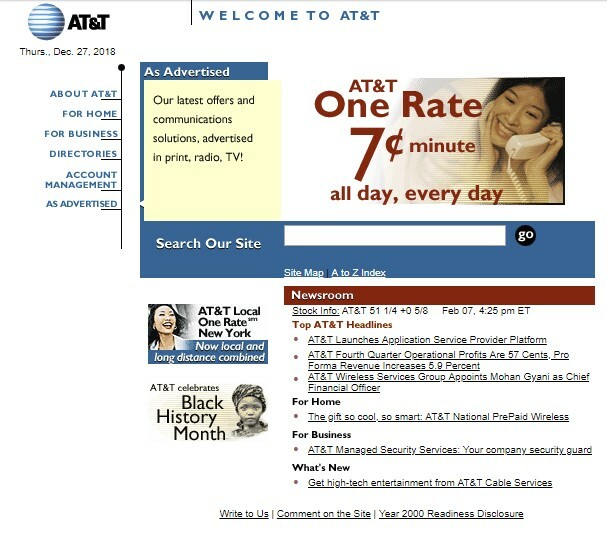 I shouldn’t say it considering that we’re really tied strongly to AT&T, but Comcast and Verizon had it going on twenty years ago with clean, bold sites that don’t look too trendy. Our friends at AT&T delivered a site that was clean and light, but it’s really clear they were designing for that 640×480 screen that was so common in the late 1990s. What will they be laughing about in 2035? It’s hard to know if there will even be “web sites” in 2035, or if the idea will simply fade away. That may sound weird but keep in mind less than a decade ago there was serious discussion about whether web sites would go away and be replaced by apps. That didn’t happen everywhere but certainly the top 10 sources of web traffic all now have apps of their own. So it’s not impossible that web sites will disappear, morphed into something else we haven’t even thought of yet. By that time, they’ll be laughing at how silly The Solid Signal Blog looked back in 2019. I may not be running it by that time, but I hope it’s still around in some form or another.